Barry Allen will always be The Flash’s main speedster, but he isn’t the only Flash from the comics who’s getting attention on the show. Jay Garrick was introduced at the beginning season, and now we’re about to meet the third person to be the Scarlet Speedster on the printed page. That’s right, Wally West will finally come to Central City in the mid-season finale, titled “Running to Stand Still” and he’ll be played by Divergent series star Keiynan Lonsdale. We don’t know what’s in store for him yet, but he has a bright future ahead of him as a series regular. Before his big debut, we thought we’d help prep fans by going over Wally’s comic book history. As the last name indicates, Wally is the nephew of Iris West, ace reporter for the Central City Picture News, Barry’s true love, and later on, his wife. 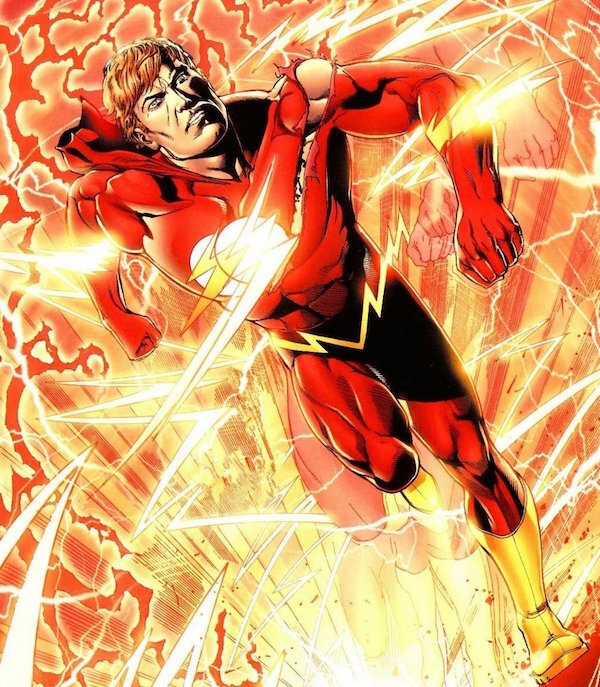 In his first appearance, Wally visited Barry’s lab at the Central City Police Department and gained his super speed in the exact same way Barry received his: a combination of a lightning bolt and chemicals. 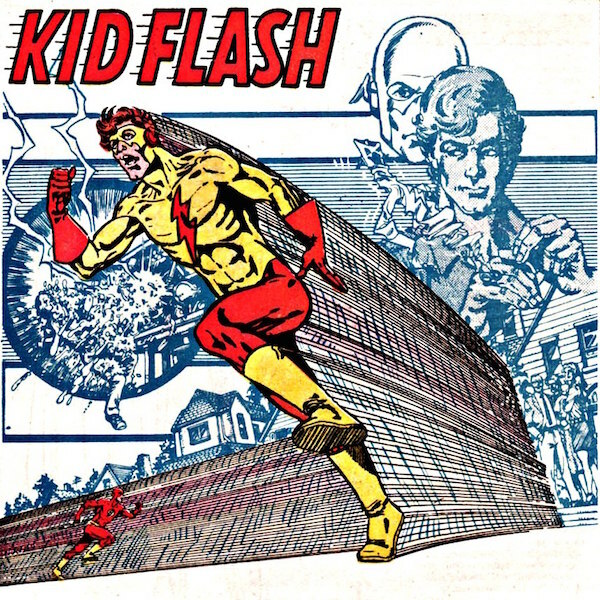 Learning his future uncle’s superhero identity, Wally joined Barry in his fight against crime as Kid Flash. In addition to taking on Central City’s criminals with his mentor, Wally later founded the Teen Titans in 1964 with Robin and Aqualad. Eventually he retired from the superhero life to live a normal life, but this didn’t last long. After Barry “died” in Crisis on Infinite Earths, Wally inherited his legacy and became the new Flash, defender of Keystone City. For an entire generation of comic book readers, he was their Scarlet Speedster. 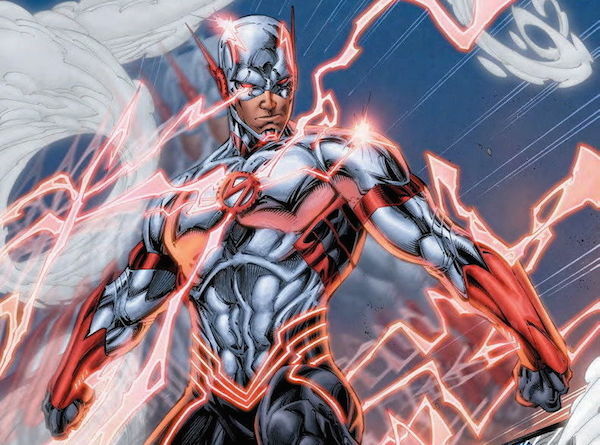 However, because of this new position, Wally was depowered in certain areas compared to his predecessor, only being able to run just past the speed of sound and having to eat a lot of food to maintain his metabolism. It was only during a battle with Eobard Thawne, a.k.a Professor Zoom, that Wally realized that he’d been subconsciously limiting his powers for fear of “replacing” Barry and becoming better than his mentor. Once Wally surpassed this hurdle, his powers increased tremendously, and while to him a while to get the hang of vibrating his molecules through solid objects, he learned to harness his speed in ways Barry never could, like stealing speed from others. In addition to continuing to battle many of Barry’s old Rogues, Wally made a few enemies of his own, like Zoom, Peek-a-Boo, Cobalt Blue and Tar Pit. Fortunately, he had plenty of allies to help him on different occasions, like Kyle Rayner, (another example of the Flash/Green Lantern friendships), other Justice Leaguers and occasionally Hartley Rathaway, a.k.a. the Pied Piper. Wally was also one of the few heroes in the DC universe to have a family life. After dating Linda Park for many years, he eventually married her, and they had the twins Iris and Jai. Of course, raising kids was significantly more difficult when they aged rapidly and had superpowers of their own, but Wally and Linda handled parenthood well. 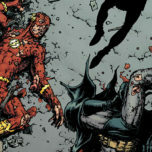 Even after Barry was revived in The Flash: Rebirth, Wally continued to operate as the Scarlet Speedster, but his prominence decreased in the years between then and Flashpoint. When The Flash was relaunched as part of the New 52 in 2011, Wally was nowhere to be seen. It wasn’t until two years later when he was finally reintroduced in The Flash Annual #3. Because of the DC Universe being rebooted, Wally is now 12 years old and biracial. His father (Iris’ other brother, not Daniel West, a.k.a. the Reverse-Flash) abandoned him when he was a baby, and after the events of Forever Evil, his mother went missing, leaving him to be raised by his Aunt Iris. Bitter with life, he turned to vandalism and was eventually arrested, leading Iris to ask Barry if he could mentor the boy. Thanks to Barry’s guidance, Wally’s grown more positive and has begun applying himself by studying engineering. At the time of this writing, present day Wally hasn’t gained super speed yet in the new DC Universe. 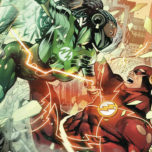 However, a version of him from five years in the future gained super speed in The Flash: Futures End #1 during a battle between Future Flash (a.k.a. the bright blue one from 20 years in the future) and his younger counterpart. 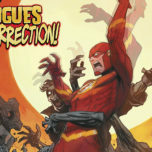 After training for years, he traveled back to the present day DC Universe in The Flash #35 to stop Future Flash, but he ended up sacrificing himself to absorb the Speed Force energy consuming the current Barry. Wally has previously starred in animated shows like Justice League Unlimited, Teen Titans and Young Justice, but The Flash will be his live action debut. All we know so far is that he is Joe and Francine West’s son, but Francine had him after she left Joe and Iris behind. 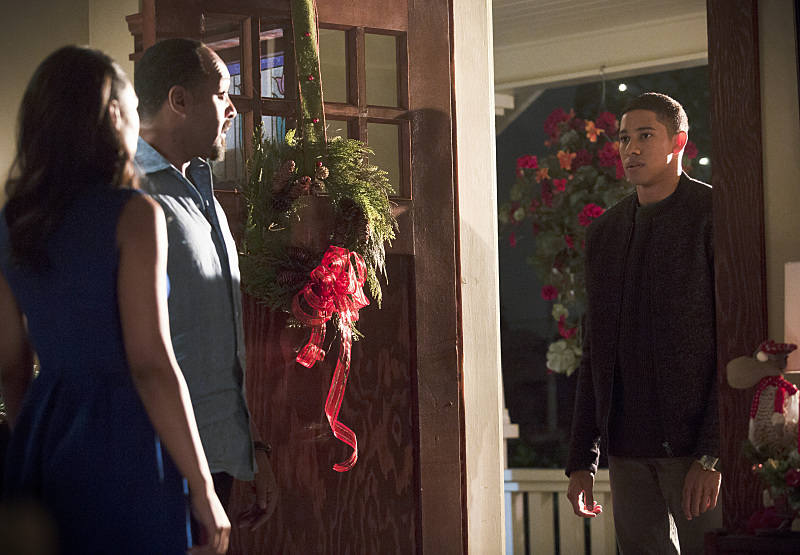 When Francine came back to Central City to tell Joe and Iris about her terminal illness, Iris did some digging around and discovered Francine also had a son. However, Iris told her mother not to tell Joe about his son and to stay away from them, and the matter has been left alone since. 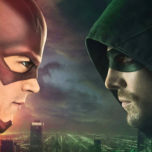 It’s still unclear how Wally will enter the picture, but he’ll debut in the same episode that Captain Cold, Weather Wizard and The Trickster are causing trouble. When we first meet him, he won’t have any powers, but it stands to reason that he’ll eventually gain super speed and fight crime by Barry’s side, though whether that will happen later this season or in the coming years remains to be seen. Make sure to catch Keiynan Lonsdale’s debut as Wally West in “Running to Stand Still” airing Tuesday, December 9 on The CW!